The well known Scots actress died on Monday a year after suffering a stroke. High Road actress Mary Riggans has died more than a year after suffering a stroke. The 78-year-old starred as Effie Macinnes in the popular STV soap opera from the early 1980s until the last episode in 2003. The actress later became known to younger viewers through her role as Susie Sweet in the BBC’s Balamory. Ms Riggans suffered a stroke in April 2012, which left her with poor speech and movement. She died peacefully holding her daughter’s hand at 4.40pm on Monday. A host of her colleagues from both STV and the BBC have paid tribute to Ms Riggans. Robert Love, who was the head of drama at STV and cast Ms Riggans in the High Road, first got to know her at university. He said: "We both thought we were going to be actors at that time. I was always pretty sure that she was going to have a rather successful career. "When I was casting for the High Road she seemed an obvious choice. She was great fun to work with, we always had a laugh. She was a real pro, she had had so much experience from a very early age. "I always enjoyed Mary's company. I have fond memories of her both from students days and from work. I am really sorry to hear that she's gone." Ms Riggans is also remembered by colleagues at the BBC from her time as Susie Sweet in Balamory. Julie Wilson Nimmo, who played Miss Hoolie in the popular children's show, said: "I am shocked and saddened to hear about Mary's passing. We worked together for years, she was a brilliant actress and will be remembered fondly by the Balamory family." 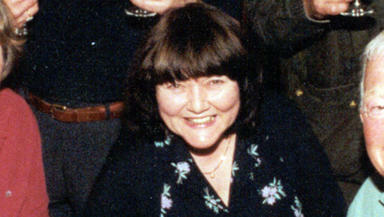 BBC Scotland executive Yvonne Jennings worked as a producer on Balamory said she would be "sadly missed by many". She said: "As Suzie Sweet in Balamory, Mary was well respected by those who worked with her and much loved by the CBeebies audience. "Like Suzie, Mary was a kind and giving woman who took on the role of nurturing young talent. She was an extremely professional actress with impeccable comedy timing." Ms Riggans’ first acting role was in 1946 when she did a radio voice-over as a child. Her first television role came in 1954 when she starred in TV movie A Nest of Singing Birds.